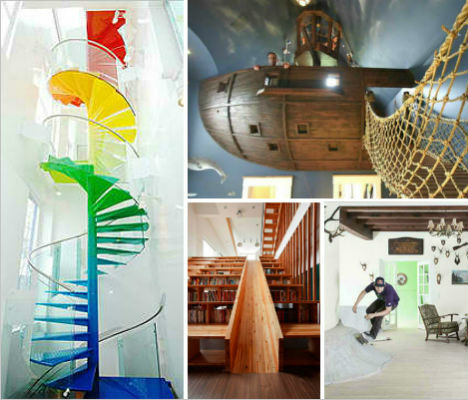 If you had your own pirate ship fort, multi-story slide, climbing wall or indoor skate park, would you ever want to leave your house? 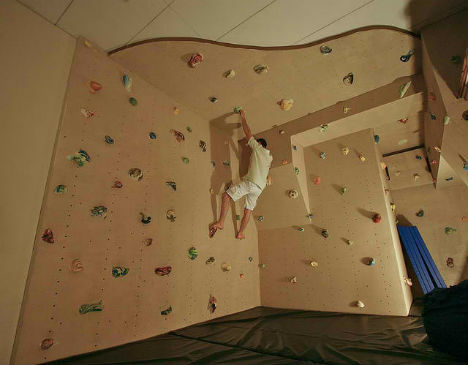 Some homeowners have turned their residences into private playgrounds and theme parks, incorporating fun elements to liven up home life for kids and adults alike. 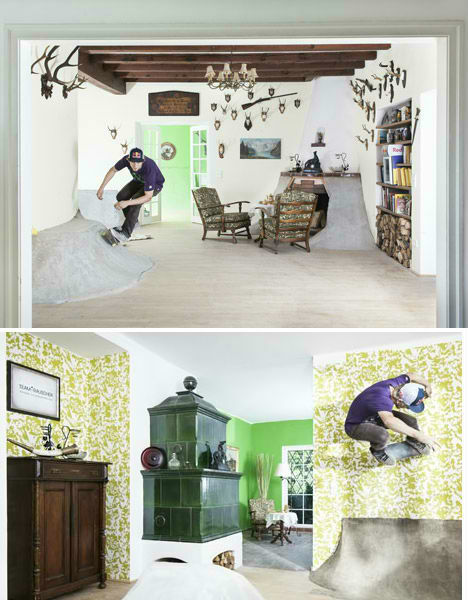 An abandoned hunting lodge in the woods of Salzburg, Austria was remodeled into a skater’s dream, filled with ramps and curving surfaces to make it an indoor skate park and residence in one. Designed by professional skateboarder Philipp Schuster, Skate Villa retains its lodge character with antlers, rifles and rustic furniture. 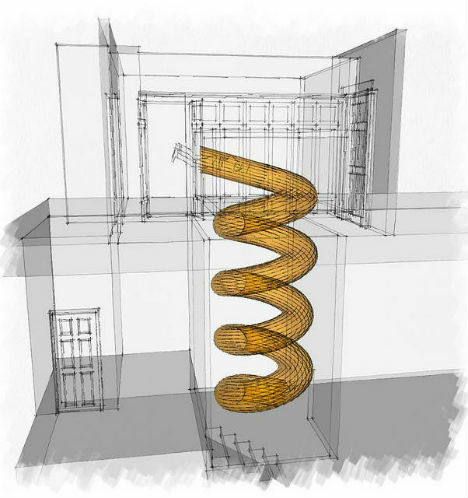 Trap doors, slides, bridges and bright three-story spiral staircases make this ‘magical oasis’ by AB Rogers and DA Studio much more enjoyable for kids and adults alike than an average home. 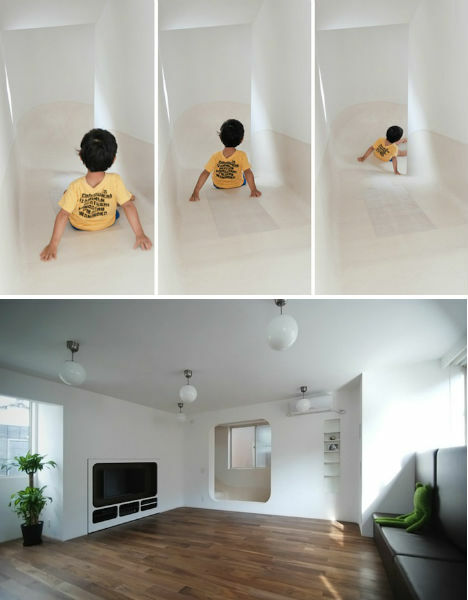 Not only does the house feature secret doors that can be thrown open to slide down to the next floor, it has a special oversized sofa designed specifically for jumping and bouncing. 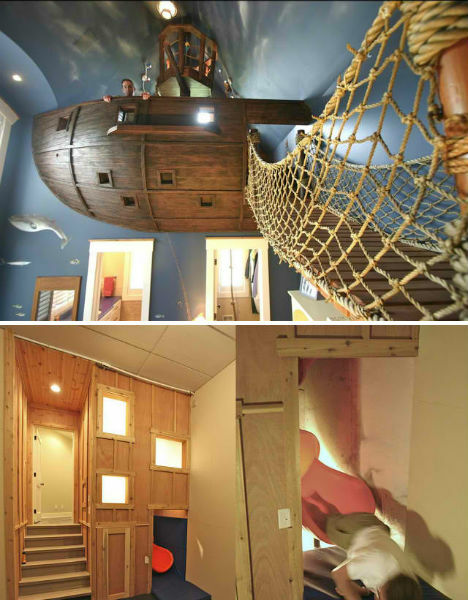 A floating pirate ship bedroom with a rope bridge, offering a magical place to sleep, is just the beginning in this fun-centric house by Kuhl Design. 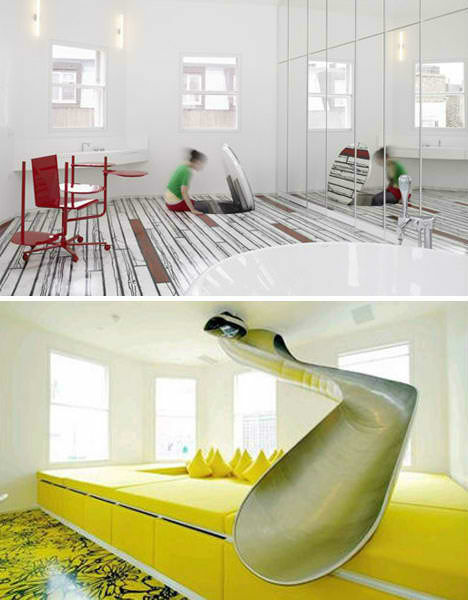 A hidden slide spirals three stories down to a basement with a climbing wall and video golf room. 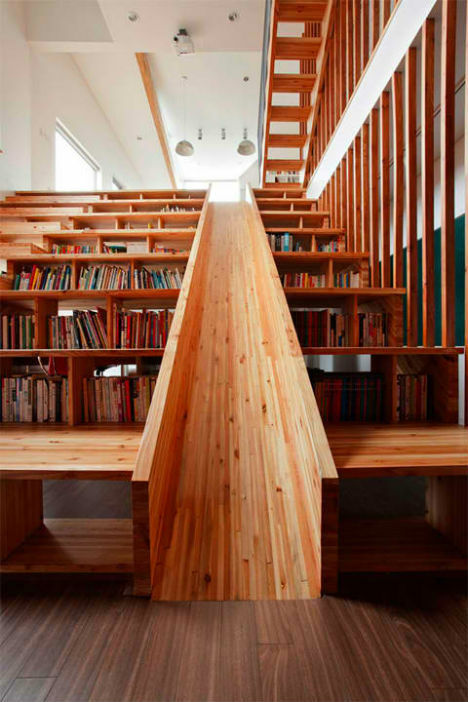 Would you rather take the slide, or the stairs? 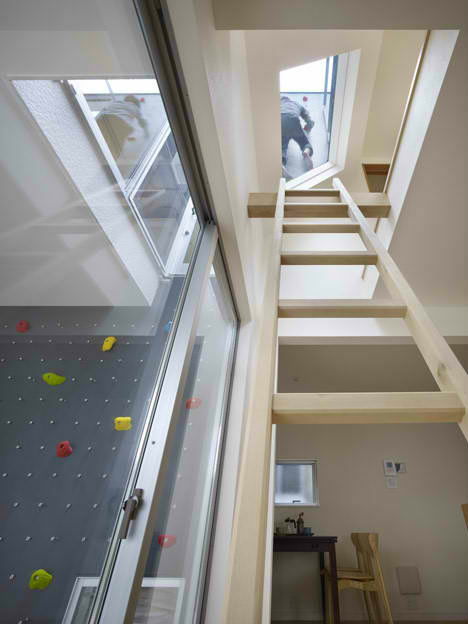 This Tokyo house by Japanese studio Level Architects lets you choose at each of the three floors. Stairs wrap around one side and the slide wraps around another. 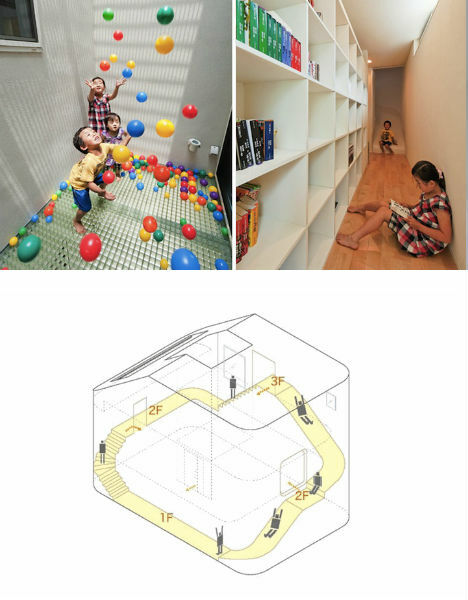 Another fun feature is a small light-filled ball pit. 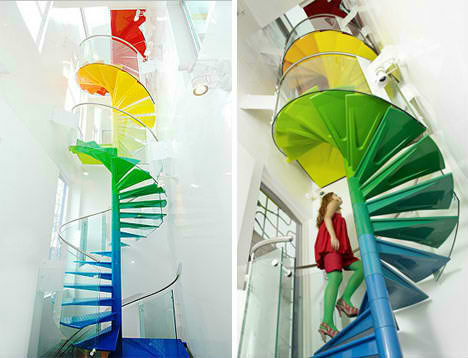 Tired of taking the stairs? 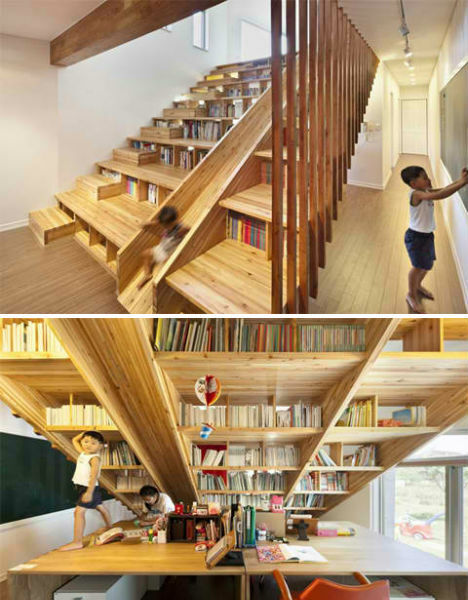 Climb from one floor to the next instead. 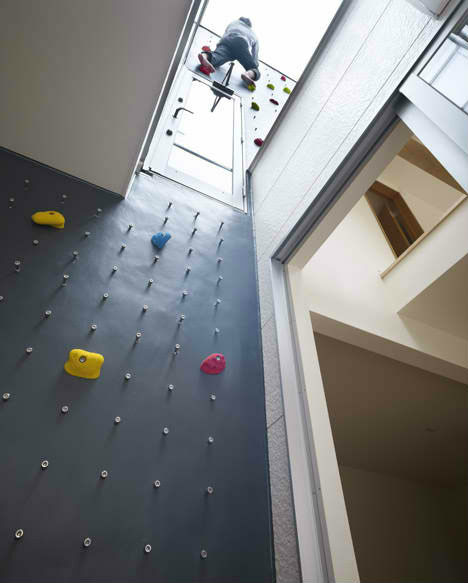 The 3-Way House in Tokyo by Naf Architect & Design incorporates a modern climbing wall as a main visual component, placed in a glassed interior courtyard that can be seen from various rooms in the house.